What fever dream was this? “Watch out, Mr. Spock”? 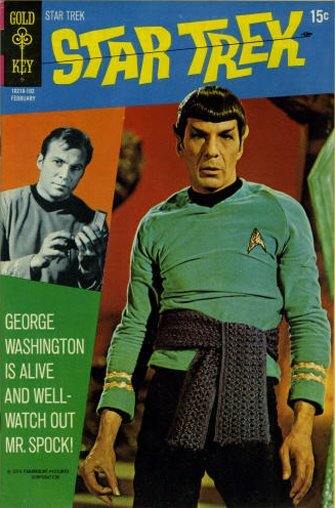 What would Spock have to fear from George Washington? Does it have something to do with the scarf around his tummy?